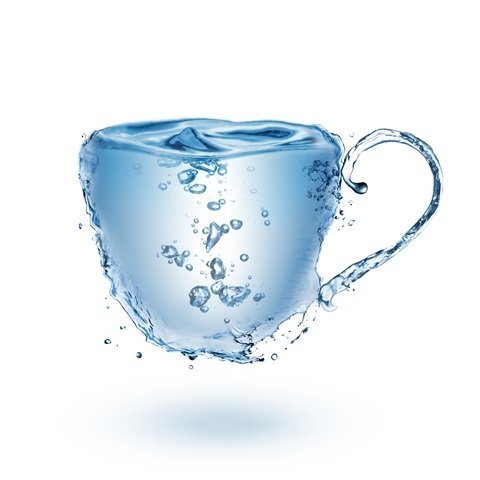 We are now at a place where our bank account is dry therefore we will not able to proceed with any further wells at the moment. We are exceptionally grateful for all the support we have had from many people helping us achieve the work done so far. In order to do further wells we obviously need financial support now and into the future. Would you consider setting up a bank standing order for a monthly amount OR maybe you’re not able to give a monthly amount but you would consider giving a one off financial contribution towards our work we would be very grateful. 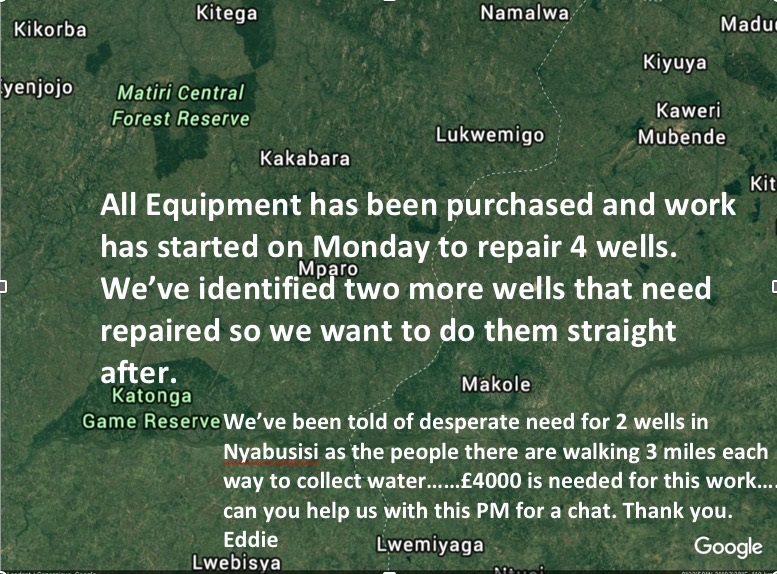 We have 1 site in a place called Nyabusisi that needs 2 wells to be able to cope with the demand for safe water, the cost for this work will be £4000 so it’s our goal to raise enough funds to complete this work. The people here in Nyabusisi are having to walk 3 miles each way to fetch water we want to bring safe drinking water closer to them……with your help we can do it, Please do get in touch with me to discuss. What a great inspirational message by Eddie Henderson and Daniel this morning. Fantastic morning at The Vine Church Dunfermline Fife Scotland. 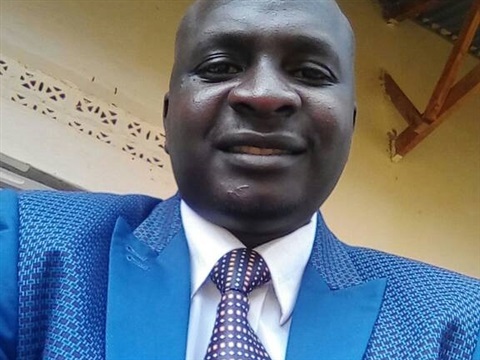 Am not going to Uganda this year as we are bringing our Liaison Officer for Wells for Uganda H2O Kwikiriza Daniel here instead on the 2nd of May. 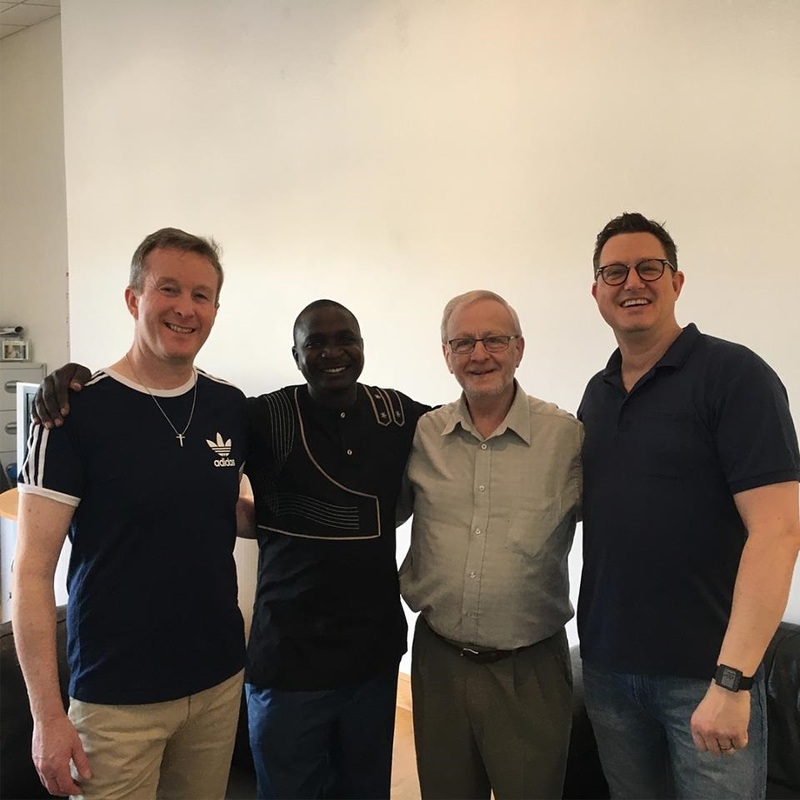 His visit will be a great encouragement to us here and it will give us the opportunity to plan towards more new wells and how to continue to raise enough funds for this vital work. 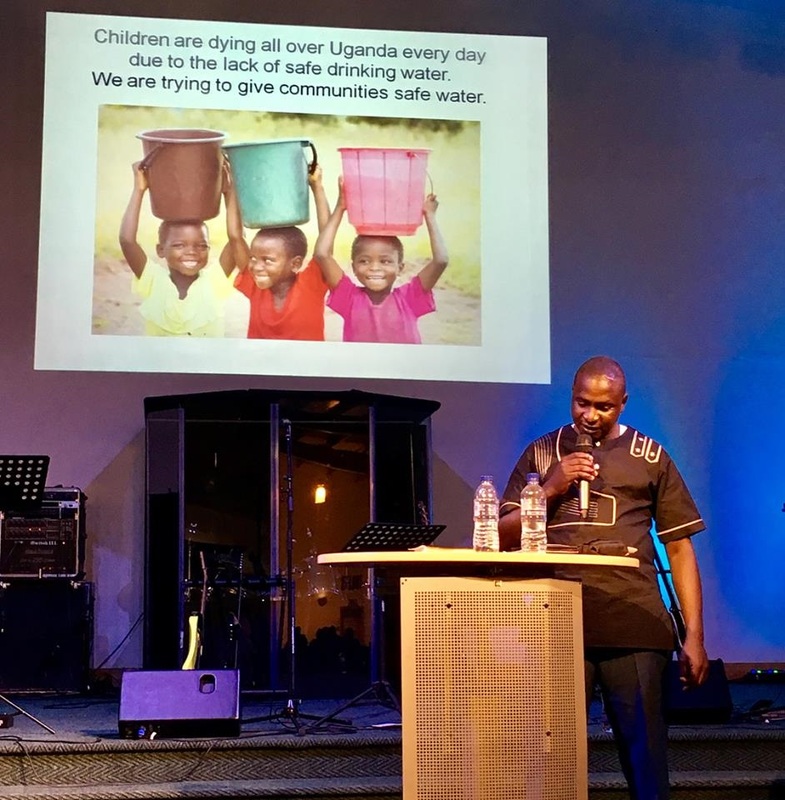 We've been given an opportunity to to a double act on Sunday 6th May at the Vine Church Dunfermline when we will share regarding the work of Wells for Uganda H2O and about the Salvations seen because of it. His visit will also give us time to look at how to share the Gospel even more effectively at the dedication of each well. 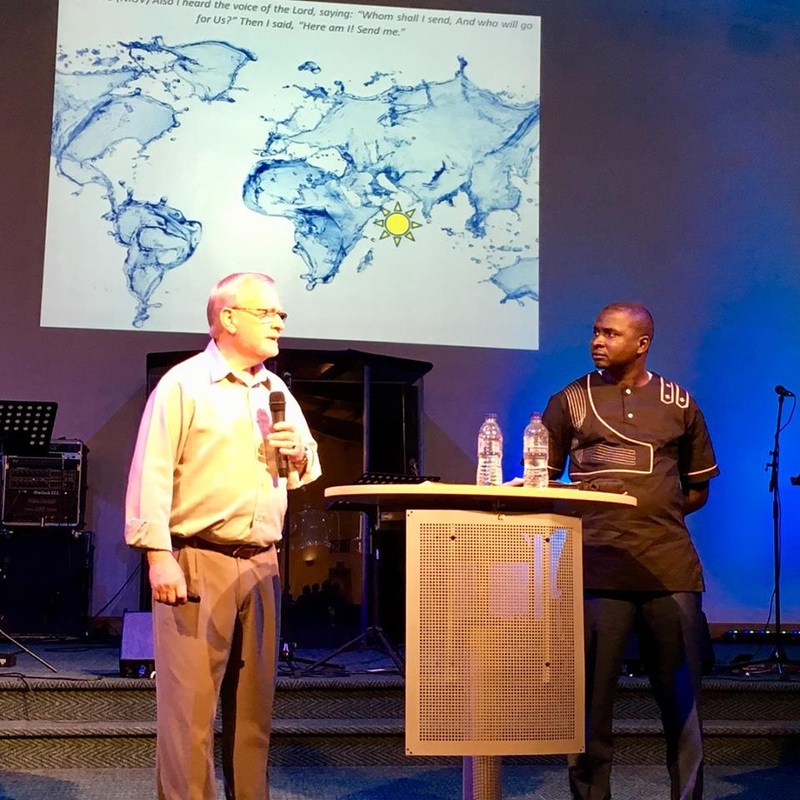 We've been so overjoyed to hear and see reports of people in various communities come to faith when told of the God who loves them passionately has also supplied them with safe drinking water. We will take some time to visit friends who have supported our work and am sure we will do some site seeing and eat some haggis!! Would you help us send Daniel back to Uganda with enough finances to dig a well or two, £2000 is needed for each well. 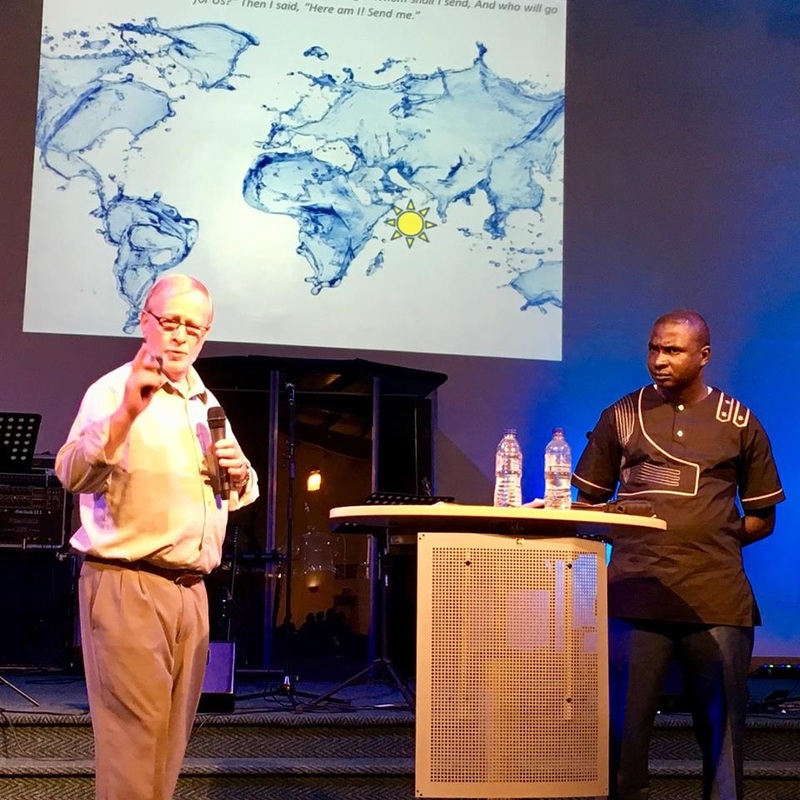 Please use the donate button at Wells for Uganda H2O or go www.churchontheway.net (online store) or contact us for bank detail for an immediate bank transfer. 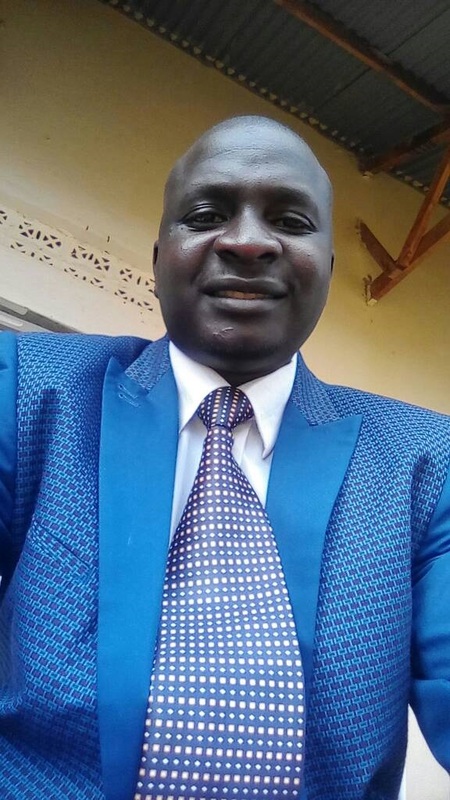 I have taught in several schools in Uganda, currently employed as a deputy head teacher in a primary school and will soon take over the post of head teacher during 2018. My future plans are to have my own business employing people and using the profits to expand the kingdom of God through helping the helpless, the needy, orphans and widows, providing access to clean water to different communities, and construct a Christian school. I have accomplished the primary stages on this by registering a fully certified company. 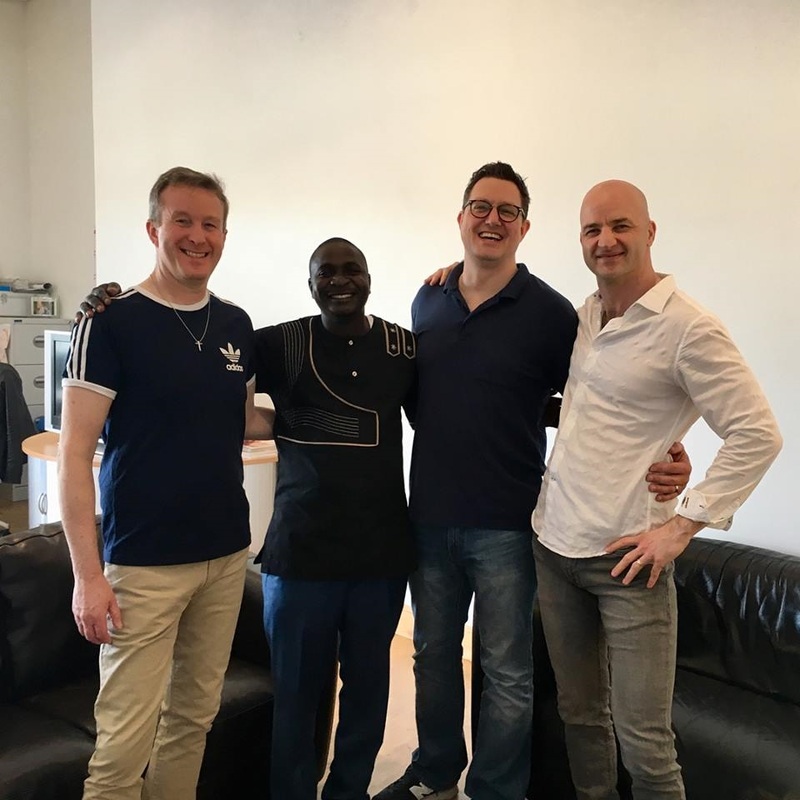 I have been involved with the work of Wells for Uganda H2O since 2014 and enjoy my role with them very much as it brings great satisfaction being able to supply communities with safe drinking water. 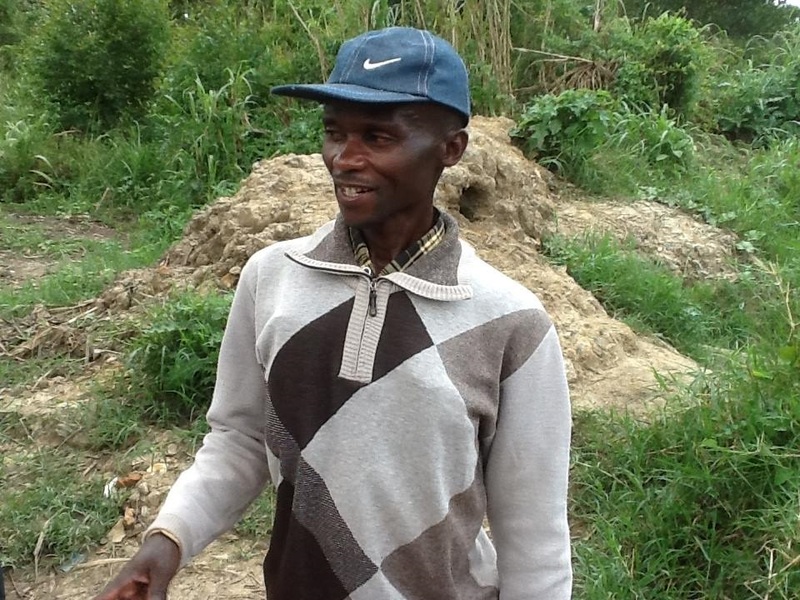 Wells for Uganda H2O Engineer is Nyarwa Godfrey. Working experience over 20 yrs. Operating in different districts of Uganda. 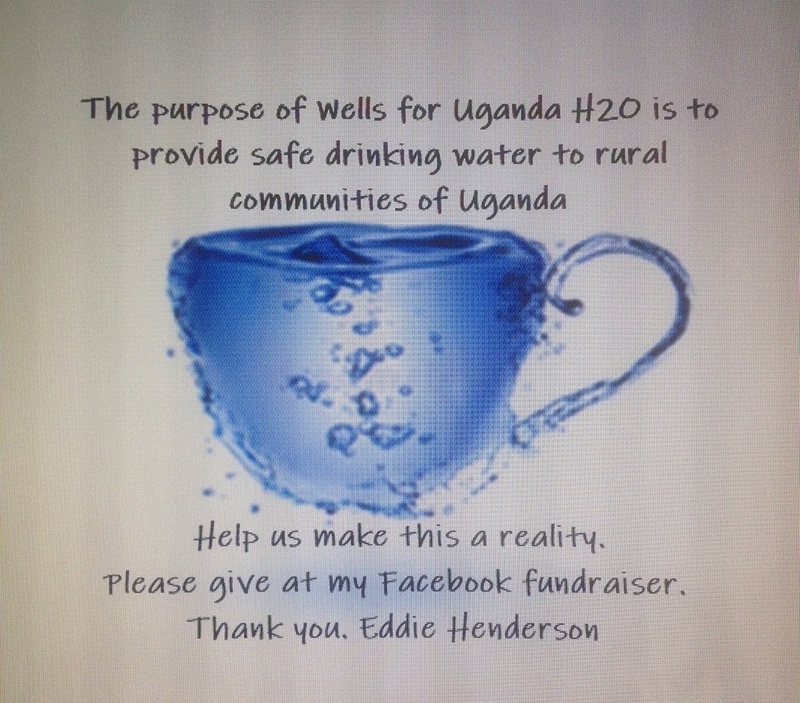 I have constructed over 20 wells for Wells for Uganda H2O and enjoy the challenge of each new site and seeing communities receive clean safe drinking water. So glad to report that well number two for this year has now been completed. From these wells 3500 people have access to safe clean drinking water. A huge thanks to all who have given finanically to this work. However the risk of serious illness or even death from drinking contaminated water is a daily reality to people in Uganda and the need for more wells is forever at the horizon of our vision. Would you help us in the construction of well number three? 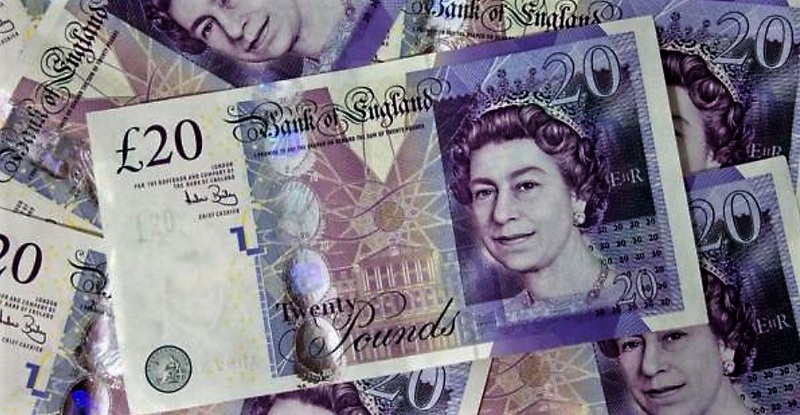 We continue to be able with proper financial scrutiny keep the construction costs for each well to £2000. 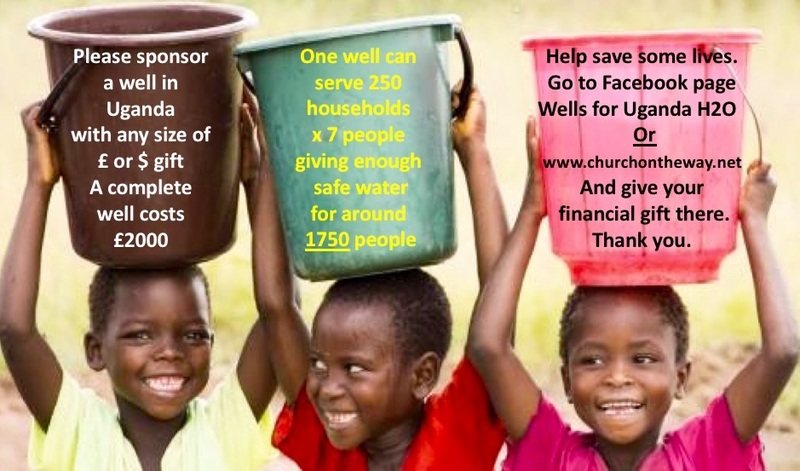 Can we ask you to consider supporting this work and send a financial gift large or small to www.churchontheway.net or from our Facebook Wells for Uganda H20 to give instant bank transfer funds please do get in touch. The need for safe water is so great we therefore launch our appeal for donations to dig four more in the Kyegegwa District of Uganda. The cost of each well is £2000 a total of £8000 ($10000). If you would rather do a bank transfer you can get in touch with me for details. We have been able with donations and from coming in under budget with the previous five wells to start this campaign with £1000 already in the bank. This well was constructed in June 2017 and is working fully satisfying the need of the community. ..........STOP PRESS............A GIFT HAS JUST COME IN FOR £800 SO WELL NUMBER FOUR CAN BEGIN...........WELL FIVE WILL NEED £2000 TO COMPLETE. NEWS HAS JUST COME THROUGH THAT WELL NUMBER THREE IS COMPLETED.........NOW WE NEED FUNDS FOR WELL NUMBER FOUR. 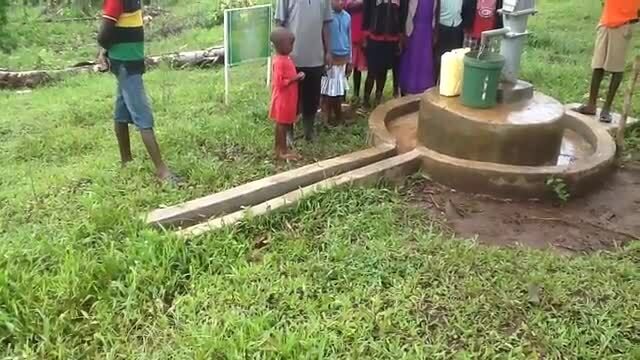 Having arrived back from my trip to Uganda I wanted to post a short video of a well we dug at the end of last year. This is what it's all about the supply of wells in various communities giving people a safer water source. We are planning to dig three more wells in the next period of time but need further finances to do so. Each well we dig we set the budget at £2000 and endeavour to keep within that budget, thankfully we have been successful with each well so far. Please give your donation towards the next well using the online store. Sincere thanks to everyone for your continued support its very much appreciated. I go out to Uganda on the 26th April for one week to check some new sites and to sign off the wells we dug at the end of last year. Am looking forward to the trip as usual and visiting a completely new area Kyegegwa District. Why not help us make this year a year of change for some communities in Uganda. Please contribute towards a new well at a cost of £2000 each. Use the online store above and give your gift or contact me with your pledge. If you prefer you can give a gift monthly by Standing order get in touch and we can help you set up a payment with your bank. THE GREAT NEWS IS THAT ON THE 24Th APRIL WE BEGIN WORK ON TWO NEW WELLS IN KYEGEGWA DISTRICT UGANDA. THIS DISTRICT HAS NEED OF FIVE WELLS PLEASE HELP US RAISE THE EXTRA SIX THOUSAND POUNDS. At a communal water spring in Kinawataka, a low-end squalid suburb of Kampala, children with all sorts of repulsively dirty containers are not only collecting water, but equally littering the water point with rubbish. Visibly, the stagnant water down the collection point is such a distasteful sight. At a short distance away, some ladies are drawn in washing clothes, some of which contain child excreta, used water runs off to the water point, thus contaminating it. 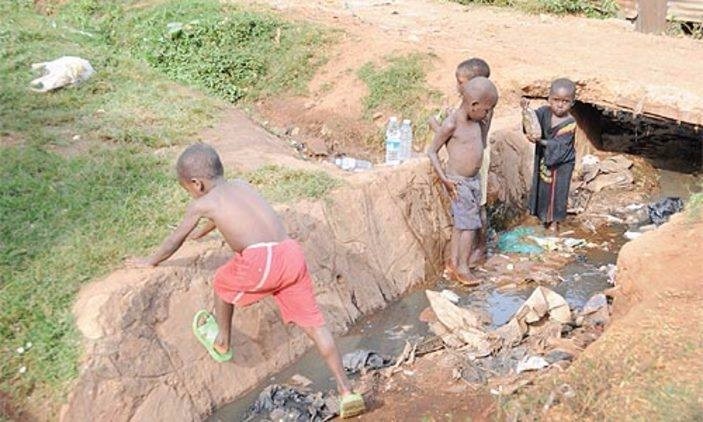 Such gross hygiene abuse is not limited to the Kinawataka spring, it is a replica of what happens at most community springs or water sources such as taps, in other poorly planned and densely populated areas of Kampala and Uganda as a whole. USE THE ONLINE STORE ABOVE. To dig a water well in Uganda we need two thousand pounds to complete it. do you want to help? Contact me with your pledge or go to www.churchontheway.net online store and give there by way of PayPal. 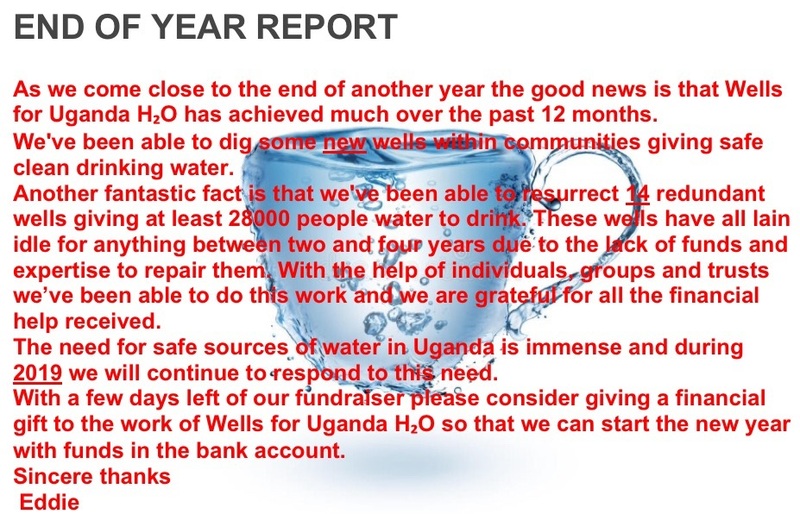 I'mThis our up to date report for Wells for Uganda H2O As of today’s date we have been able to dig 28 completely new wells and repair 21 wells which means at least 85,750 people have access to safe drinking water. (Each well serves min 250 homes x 7 people per home = 1750 x 49 wells = 85,750) We are now at a place where our bank account is dry therefore we will not able to proceed with any further wells at the moment. We are exceptionally grateful for all the support we have had from many people helping us achieve the work done so far. In order to do further wells we obviously need financial support now and into the future. Would you consider setting up a bank standing order for a monthly amount OR maybe you’re not able to give a monthly amount but you would consider giving a one off financial contribution towards our work we would be very grateful. We have 1 site in a place called Nyabusisi that needs 2 wells to be able to cope with the demand for safe water, the cost for this work will be £4000 so it’s our goal to raise enough funds to complete this work. The people here in Nyabusisi are having to walk 3 miles each way to fetch water we want to bring safe drinking water closer to them……with your help we can do it, Please do get in touch with me to discuss. Many thanks Eddie a paragraph. Click here to add your own text and edit me. I'm a great place for you to tell your story and let your visitors know a little more about you.